Morocco 1988 Horse Week unmounted mint. 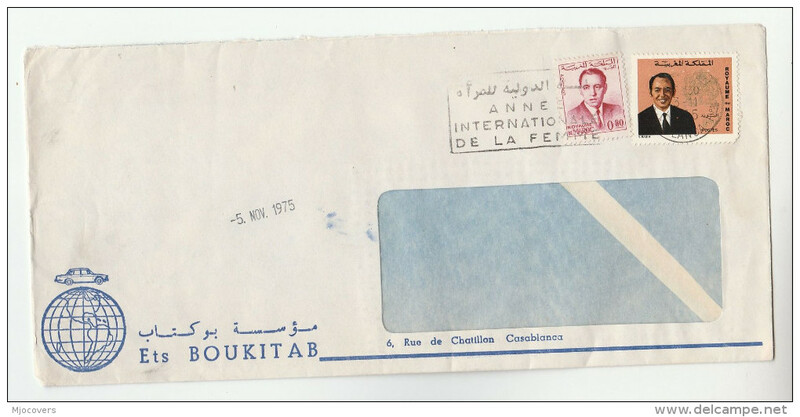 Morocco 1970 Moroccan Postal Museum sheetlet (slight corner damage) unmounted mint. Marruecos. 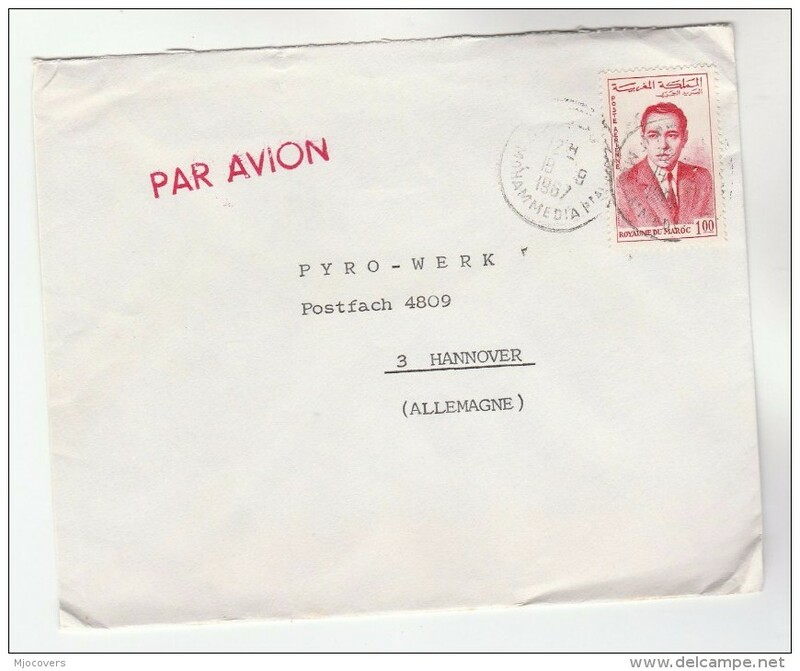 1934 (9 April) Tetuan - Switzerland, Steckhorn. Fkd photo card fkd 25c. Fine. Marruecos - French. 1926 (5 Nov) Casablanca - Belgium, Bruxelles. Air multifkd + ovptd issue. 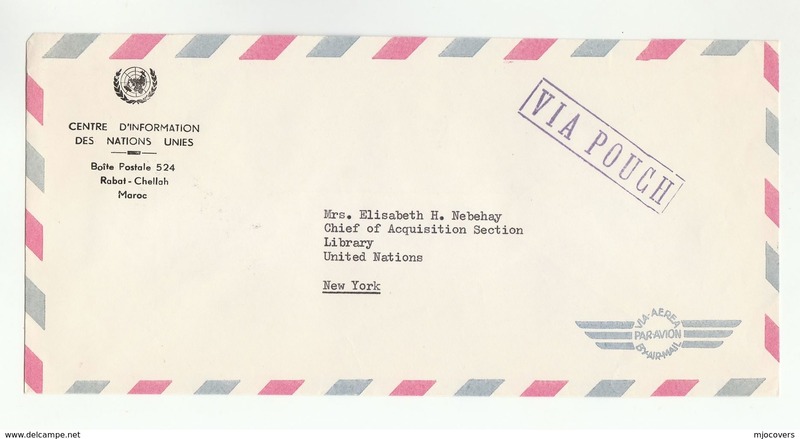 Fine envelope. 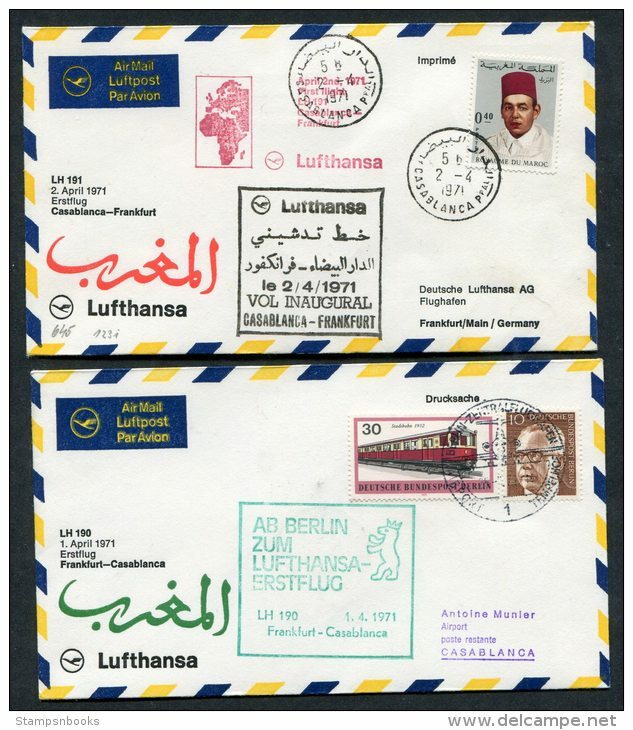 Marruecos - German. 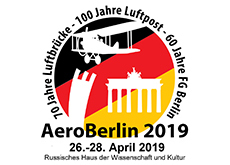 1900 (12 March) Tangier - Germany, Munich. Ovptd 5c Spanish currency stat card. Fine. 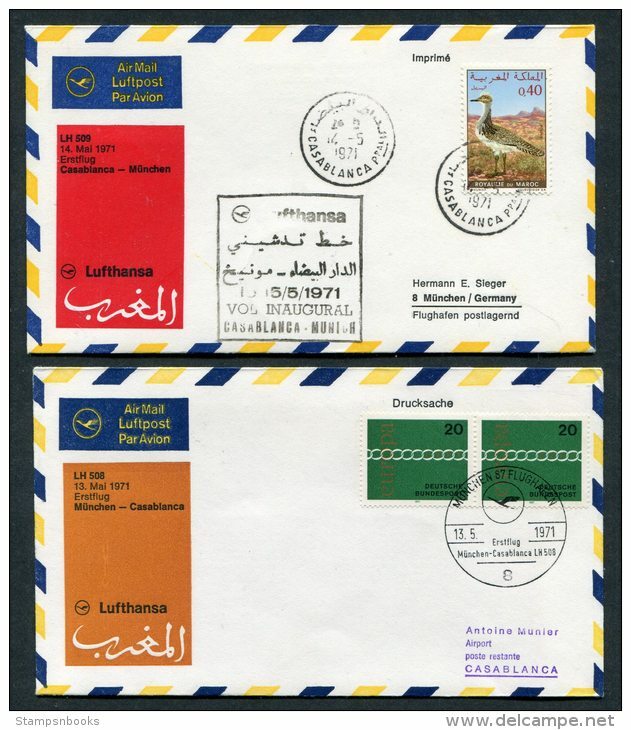 Marruecos - German. 1900 (1 Jan) Tanger - Germany, Berlin. 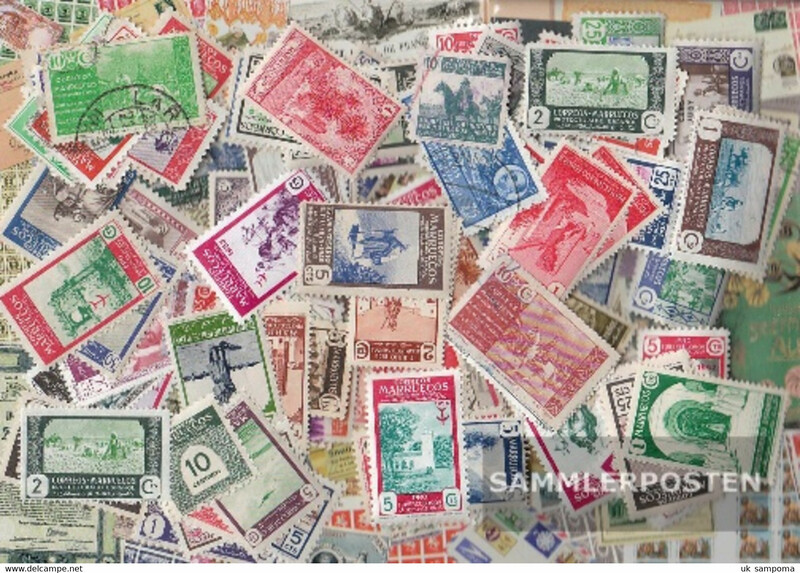 PM rate unsealed envelope fkd single 5 pf green ovptd issue. H179- MOROCCO MAROC 2008 CHILDREN DRAWINGS FISH BUTTERFLIES TREES HOUSE CARS MAP. 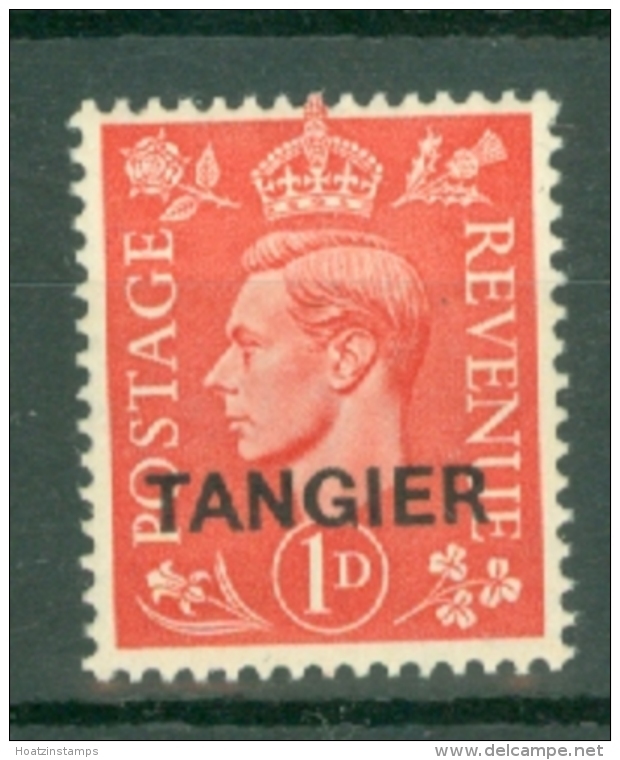 Morocco 1968 King Hassan top values unmounted mint. 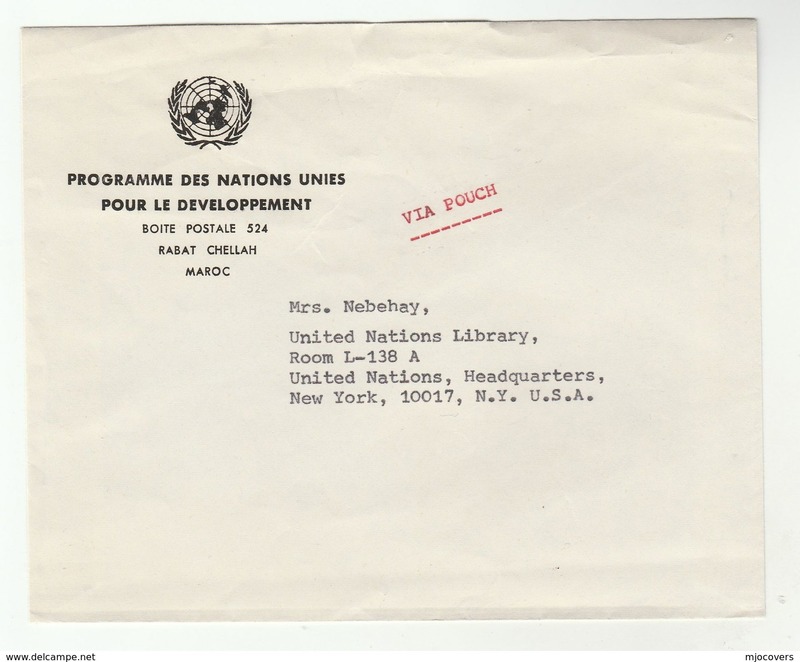 Morocco 1967 Red Crescent Red Cross unmounted mint. Morocco 1975 Moroccan Painters unmounted mint. 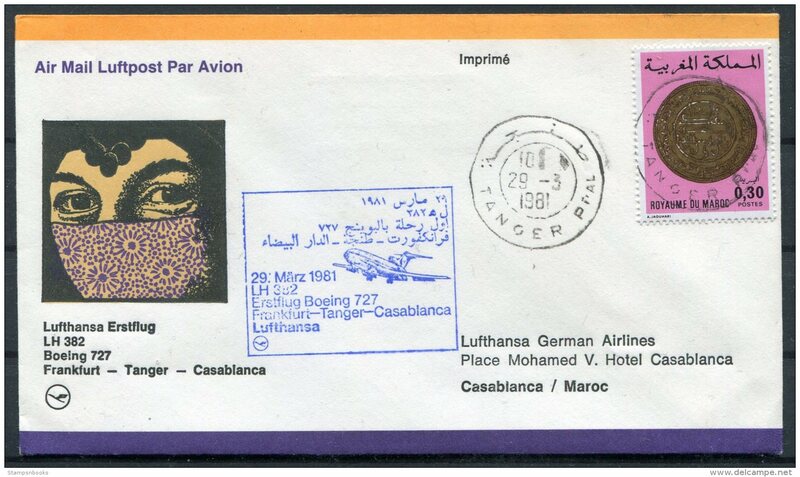 Morocco 1973 King Hassan Values unmounted mint. 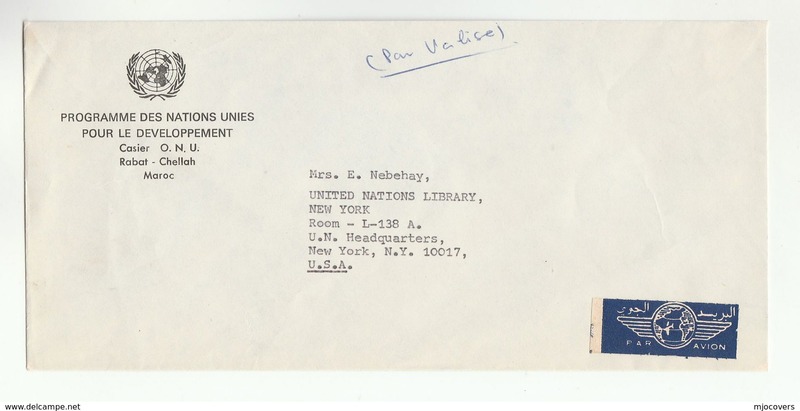 Morocco 1970 Flood Victims unmounted mint. 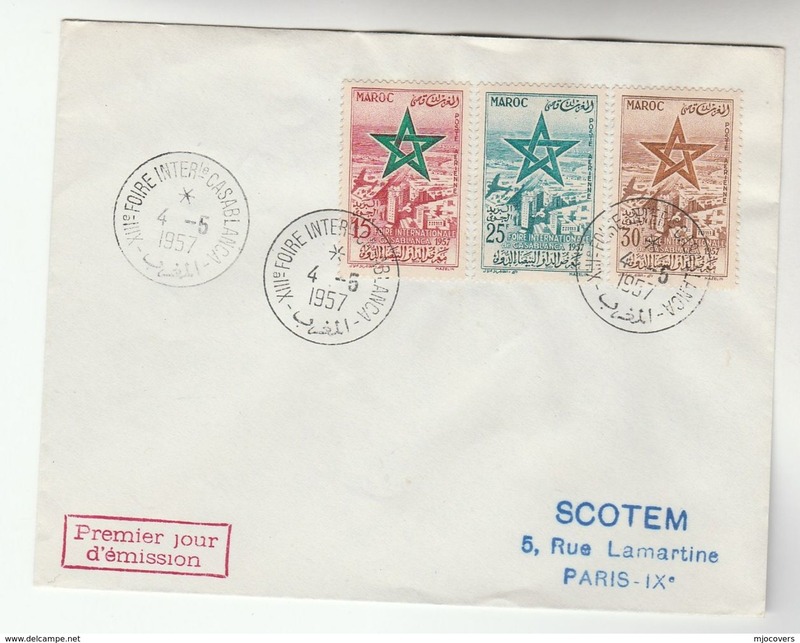 Morocco 1969 ILO unmounted mint. 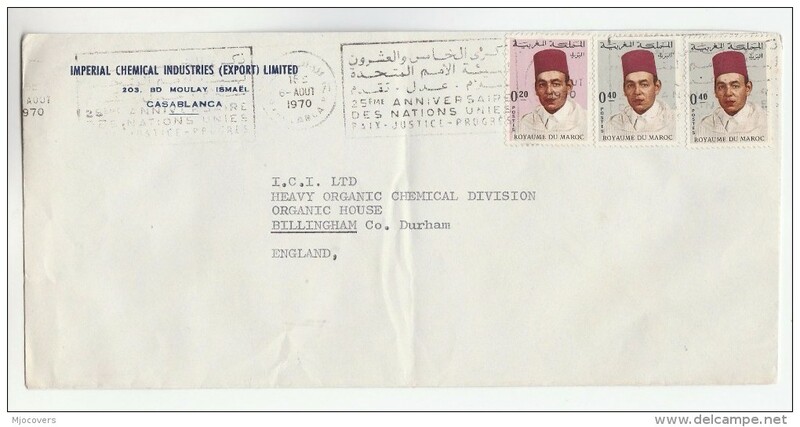 Morocco 1969 Islamic Summit unmounted mint. Morocco 1969 Coronation Anniversary coins unmounted mint. Morocco 1969 Traditional Womens Costumes unmounted mint. Morocco 1968 Ancient Moroccan Coins unmounted mint. 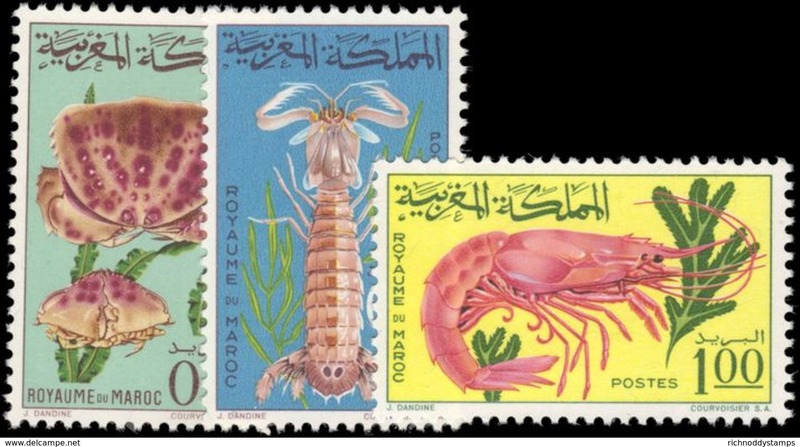 Morocco 1965 Shell fish unmounted mint. 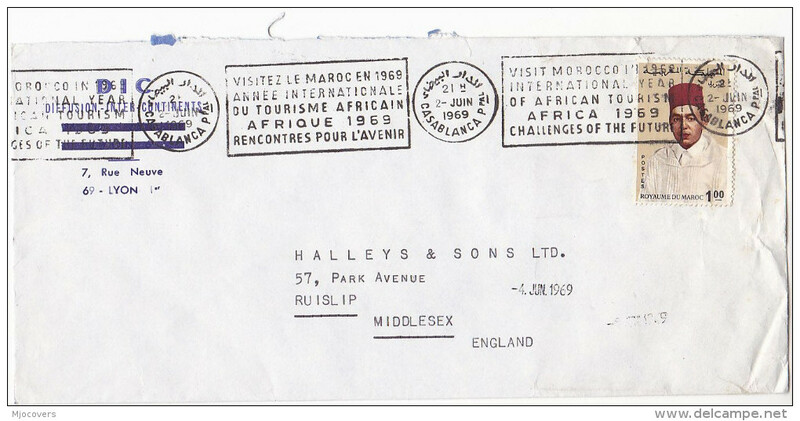 Morocco 1964 Postal Employees Holiday Settlements unmounted mint. 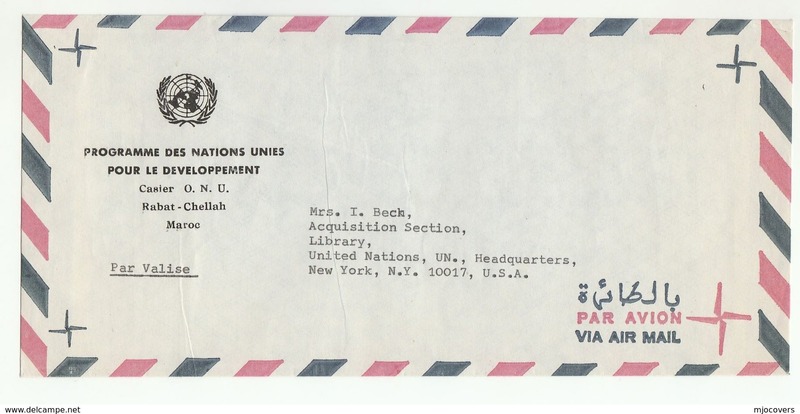 Morocco 1964 New York Worlds Fair unmounted mint. 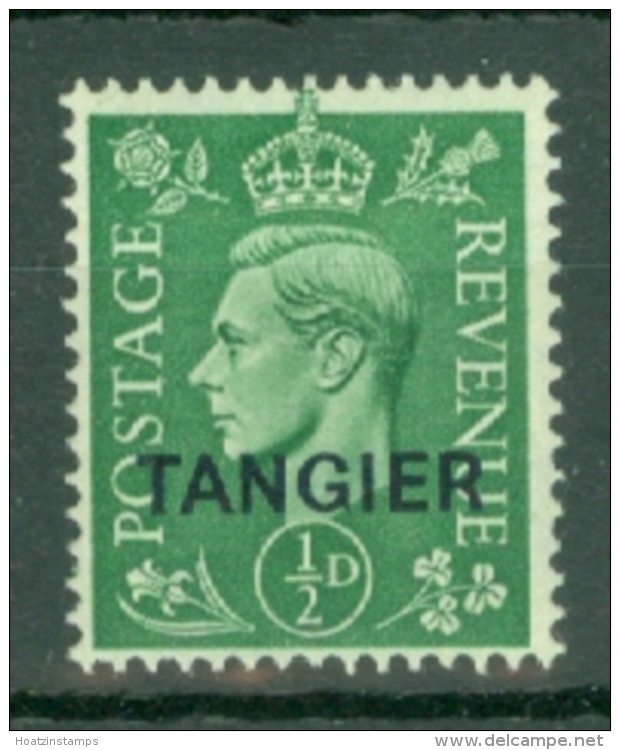 Morocco 1964 Casablanca Fair unmounted mint. Morocco 1964 World Meteorological Day unmounted mint. 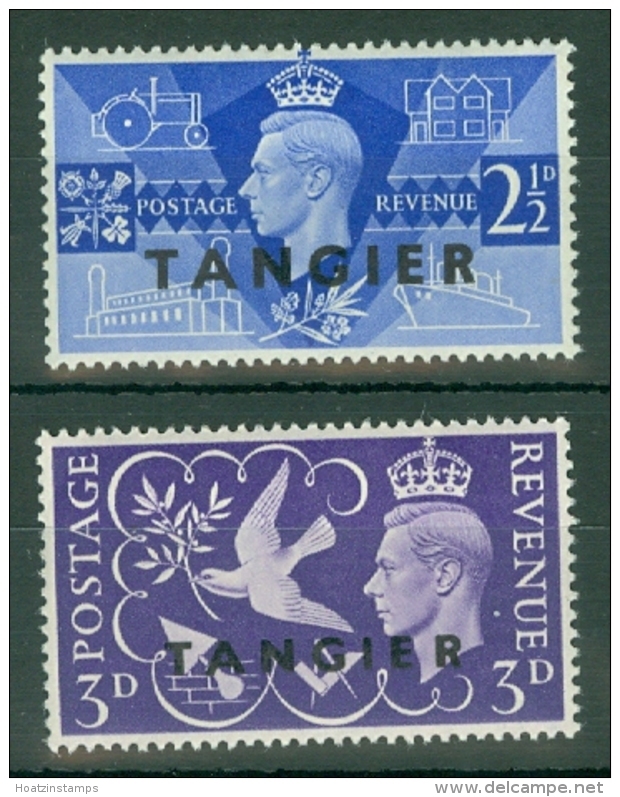 Morocco 1974 Moroccan Carpets (3rd issue) unmounted mint. 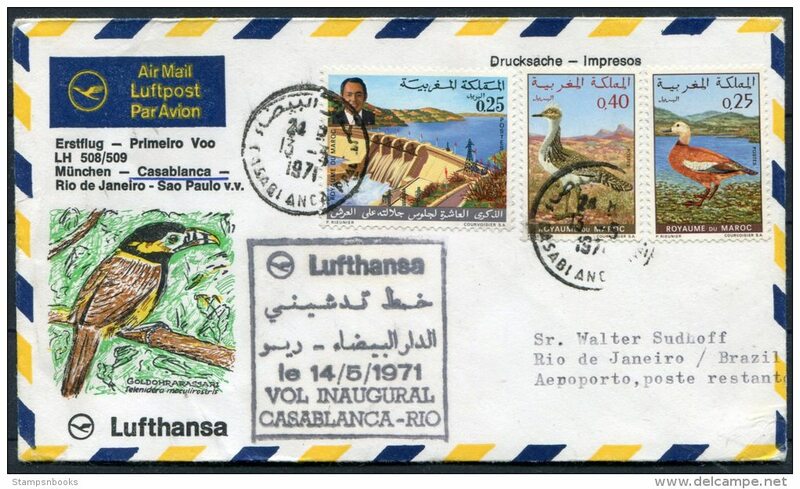 Morocco 1969 40th Birthday unmounted mint. 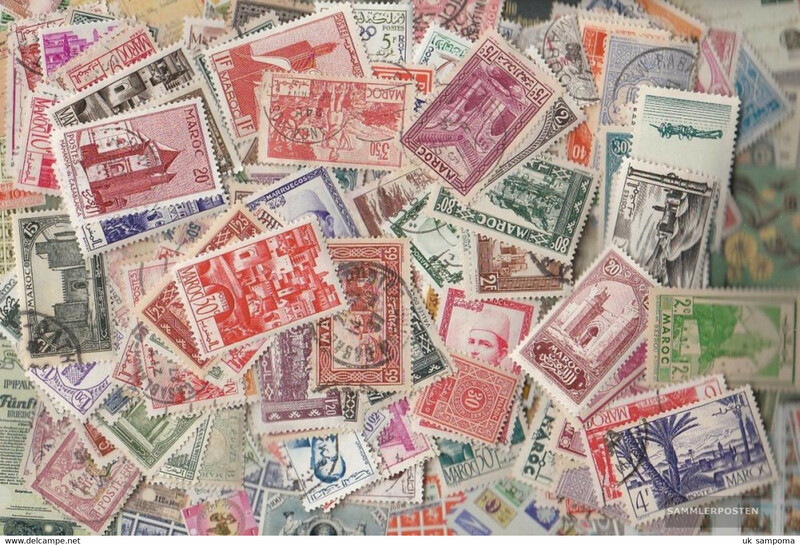 Morocco 1972 Moroccan Carpets (1st issue) unmounted mint. 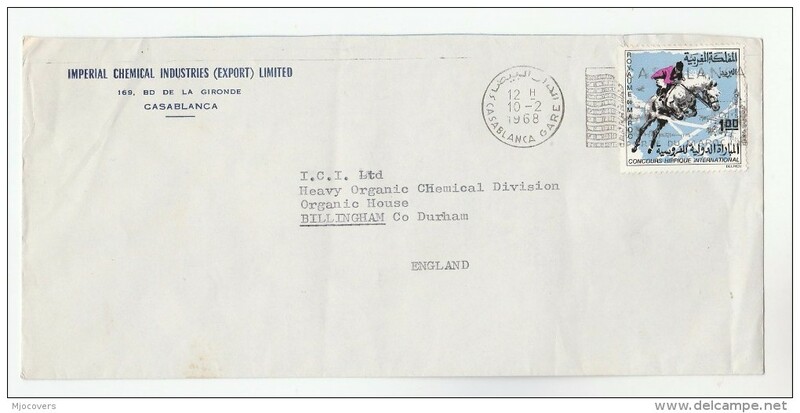 Morocco 1965 Flowers unmounted mint. Morocco 1975 Moroccan Carpets (4th issue) unmounted mint. 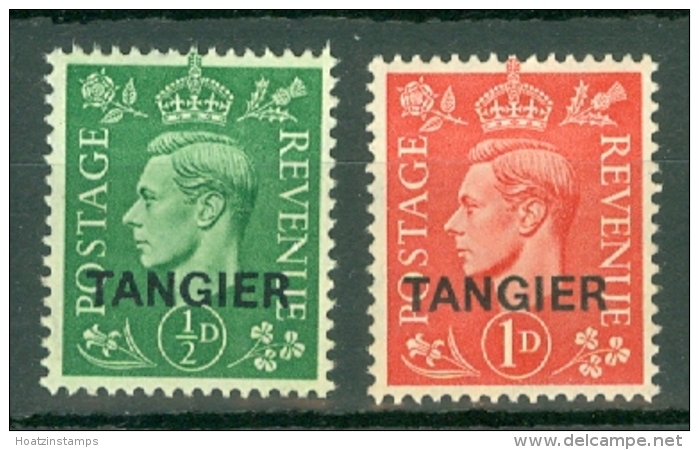 Morocco 1971 Accession of King Hassan souvenir sheet unmounted mint. 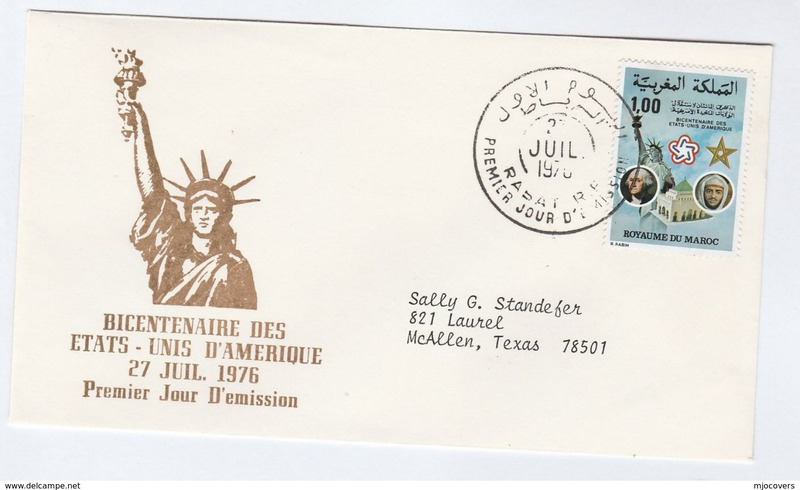 Morocco 1975 Independence Anniversary souvenir sheet unmounted mint. 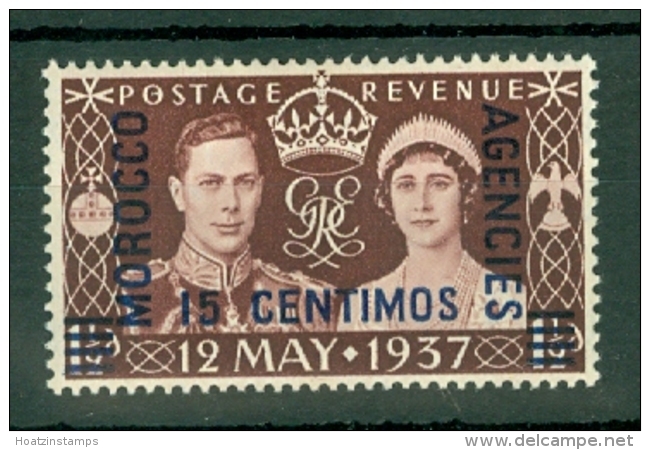 Morocco 1964 Coronation Anniversary unmounted mint. Marruecos - French. 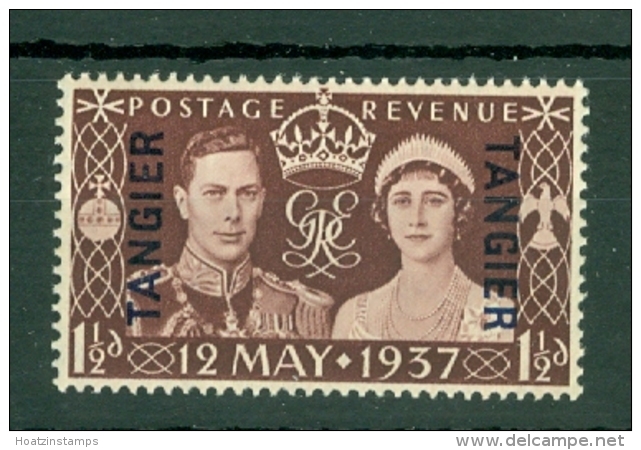 1946 (18 June) Tanger Cherifien. 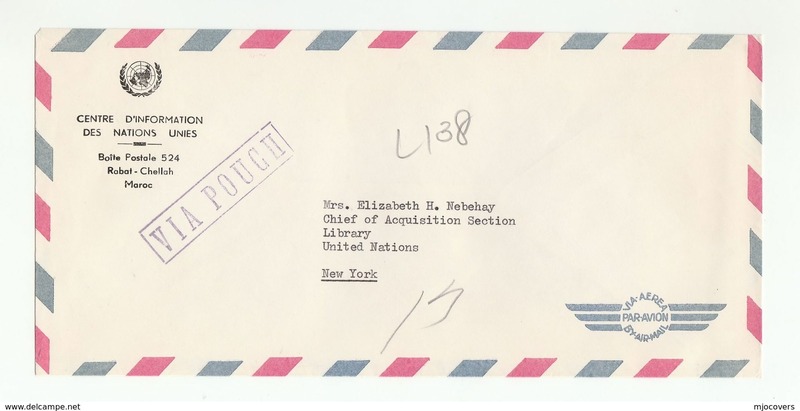 Official envelope with 5 fr ovptd issue. Marruecos - French. 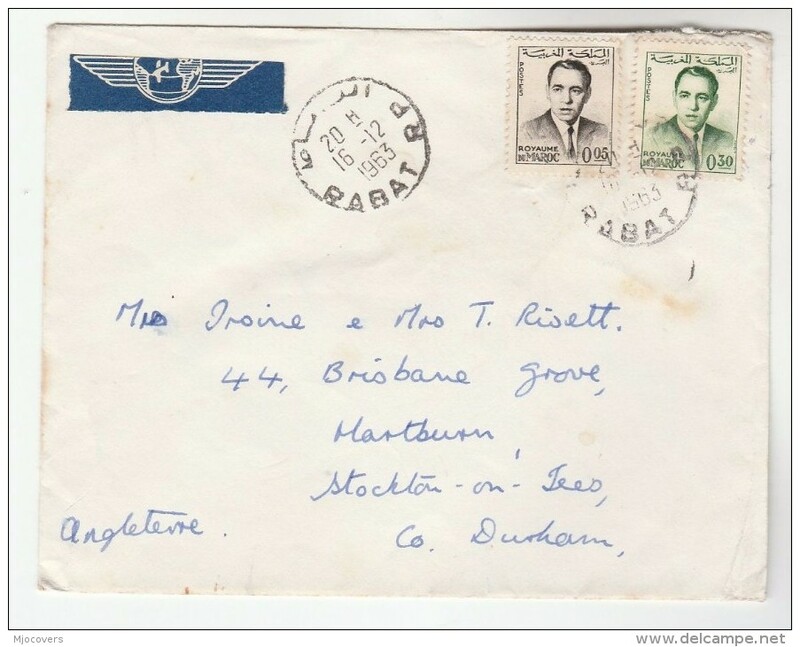 1935 (30 Sept) Tanger, Cherifien Post - London, UK, Air multifkd env + special endorsement. Fine. Marruecos - British. 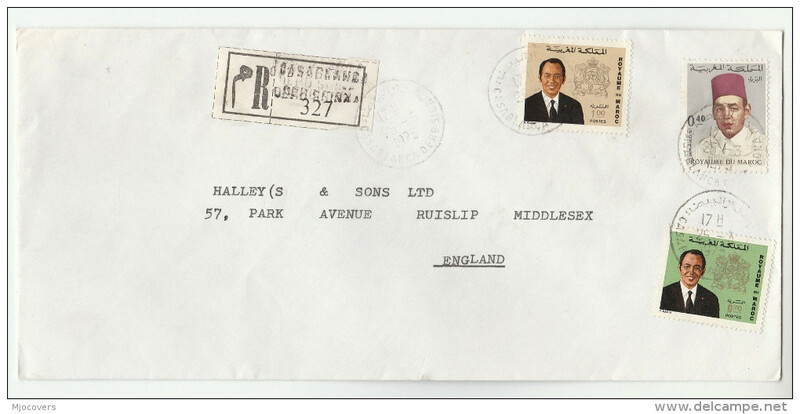 1933 (6 May) BPO. Casablanca - UK, London. 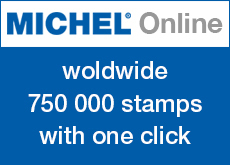 Air multifkd env, French currency ovpt at 3fr 25c rate.